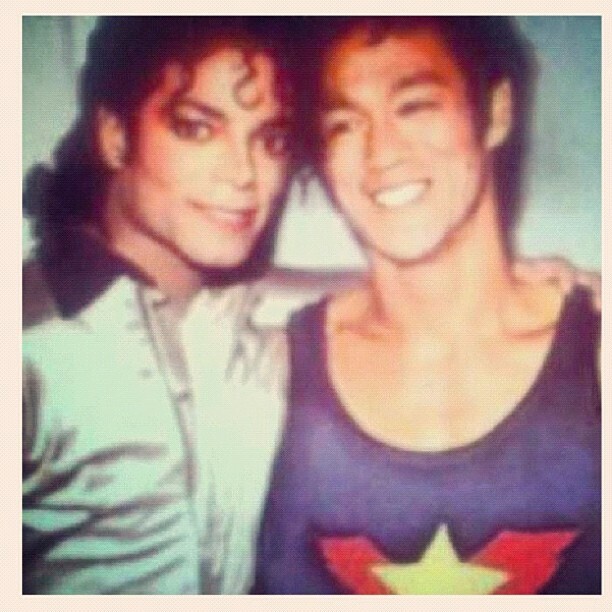 Michael Jackson and Bruce Lee ♥♥. . Wallpaper and background images in the মাইকেল জ্যাকসন club tagged: michael jackson ♥. This মাইকেল জ্যাকসন photo might contain প্রতিকৃতি, ধনু, and চতুর. "The Way আপনি Make Me Feel"
Baby Michael in the bathtub! It can't be reall because Bruce died in 1973 and this like 1988.